We know how to help you put integrity, great taste, and utmost safety into every product you produce. We engineer smarter concept-to-reality solutions for many global and American brands through our analyze/design/deliver process. Mass balancing process delivers continuous standardization, Just In Time, for lean production. The Ultra family of products deliver solutions for shelf stable and extended shelf life products with stability, safety and superior quality. At JCS, we partner with leading food, beverage and dairy customers to make big ideas real, and real safe. Customers rely on us to meet challenges with innovative engineering so their vision can be transformed into a successful process and product that meets or exceeds exacting industry standards. 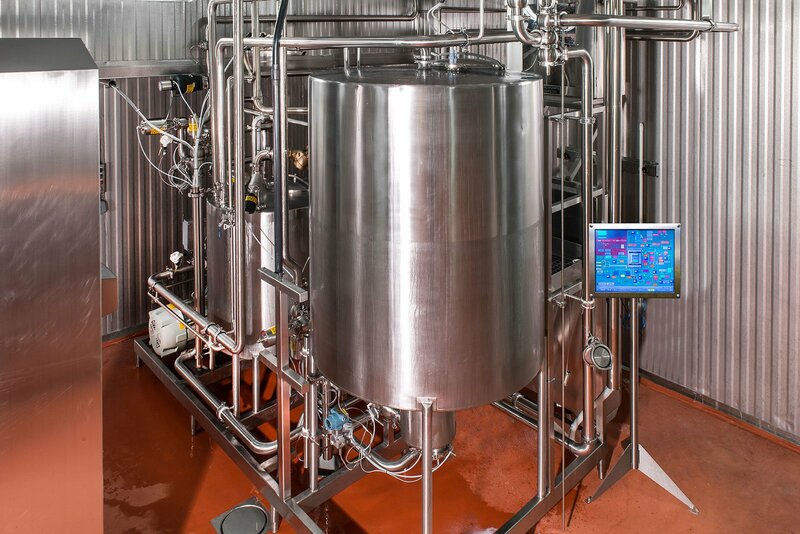 We're dedicated to the advancement of the food industry, specializing in advanced control system designs and turnkey process and automation systems. Discover how our know-how blends technology with plant and process expertise to create accurate, repeatable, flexible, unbeatable solutions. We Know How, and we know it's what's inside your product that really counts! JCS designs, installs and commissions systems like these, and many others – as we’ve done since 1988. Exclusive digital inline vodka blending technology. We created the only TTB approved installation in the U.S. where a spirit is allowed to be produced and bottled via continuous blend. 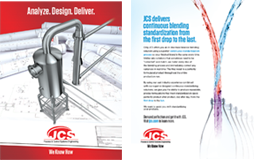 JCS ABV accuracy of +/- .03% is a standard unmatched in the industry in a continuous blend process. This high proof to filler continuous inline Just In Time blend system produces up to 240 GPM and automatically directs to four fillers simultaneously. JCS Highlighted in Food Engineering Magazine! The skid-mounted UltraBlock™ system is being deployed to facilitate bulk transfer of aseptically processed food through a global network, allowing manufacturers to access container contents without breaking sterility. Source: JCS Process & Control Systems Engineering. Discover the unsurpassed know-how of JCS and all the ways our analyze/design/deliver approach can provide superior processing solutions. 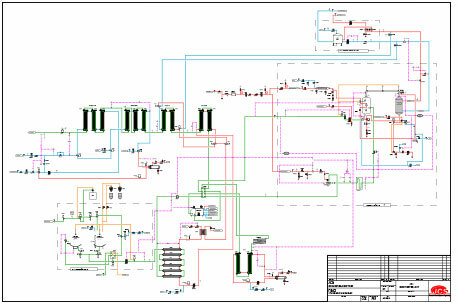 JCS brings the expertise and experience to complete your end-to-end control design. We consider the most appropriate process and control options for the different applications, the different ingredient properties and the final product requirements. We tailor designs to meet your flexibility requirements as well as considering overall energy consumption, efficiencies and minimizing shrinkage. Since we are not a distributor we are not tied to a specific company line. This allows us the unique privilege to specify the best solution for any application – regardless of manufacturer. Whether the purpose of an evaluation is to find ways to increase throughput of an existing process, find the root cause of a problem, or to establish options for a new process, JCS has the insight and knowledge to deliver a comprehensive study. The JCS staff is comprised of engineers and technicians with many years of experience in the food manufacturing industry. Upon the completion of an engineering study, the findings are yours to keep. JCS has the Technical Staff and Resources available to offer a variety of technical services to the Food and Beverage Industry. The Product Development Team of JCS works closely with our clients to develop new and improved food products for target markets such as retail, institutional or food service. Our team can either work independently to meet product requirements set by the client, or they can work as a part of clients’ in-house R&D Team in an advisory capacity. Some of our multinational clients retain our services to get a different perspective on an in-house generated product development concept, while others realize that it may be more cost-effective to have JCS' R&D Team carry out the prototype generation stage.